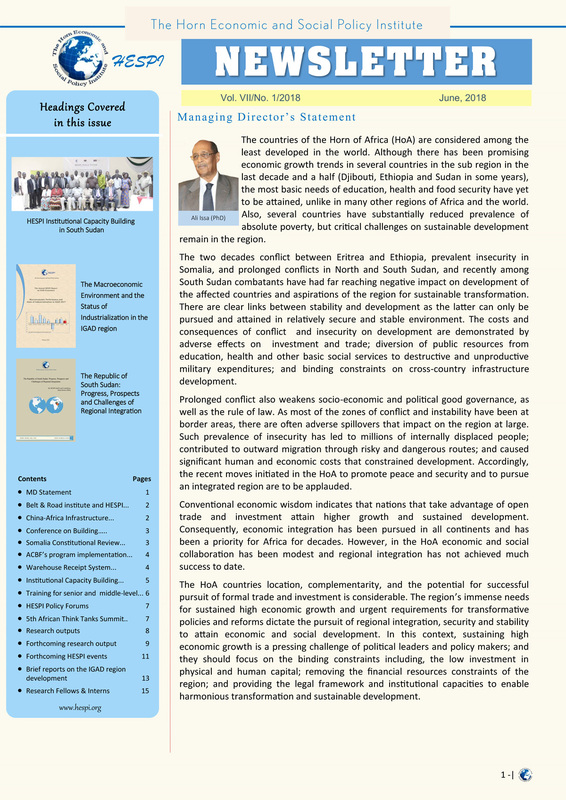 The two decades conflict between Eritrea and Ethiopia, prevalent insecurity in Somalia, and prolonged conflicts in North and South Sudan, and recently among South Sudan combatants have had far reaching negative impact on development of the affected countries and aspirations of the region for sustainable transformation. There are clear links between stability and development as the latter can only be pursued and attained in relatively secure and stable environment. The costs and consequences of conflict and insecurity on development are demonstrated by adverse effects on investment and trade; diversion of public resources from education, health and other basic social services to destructive and unproductive military expenditures; and binding constraints on cross-country infrastructure development. Prolonged conflict also weakens socio-economic and political good governance, as well as the rule of law. As most of the zones of conflict and instability have been at border areas, there are often adverse spillovers that impact on the region at large. Such prevalence of insecurity has led to millions of internally displaced people; contributed to outward migration through risky and dangerous routes; and caused significant human and economic costs that constrained development. Accordingly, the recent moves initiated in the HoA to promote peace and security and to pursue an integrated region are to be applauded. Conventional economic wisdom indicates that nations that take advantage of open trade and investment attain higher growth and sustained development. 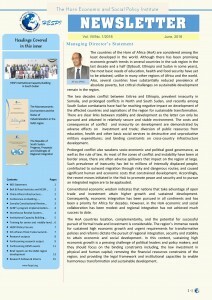 Consequently, economic integration has been pursued in all continents and has been a priority for Africa for decades. However, in the HoA economic and social collaboration has been modest and regional integration has not achieved much success to date. The HoA countries location, complementarity, and the potential for successful pursuit of formal trade and investment is considerable. The region’s immense needs for sustained high economic growth and urgent requirements for transformative policies and reforms dictate the pursuit of regional integration, security and stability to attain economic and social development. In this context, sustaining high economic growth is a pressing challenge of political leaders and policy makers; and they should focus on the binding constraints including, the low investment in physical and human capital; removing the financial resources constraints of the region; and providing the legal framework and institutional capacities to enable harmonious transformation and sustainable development.